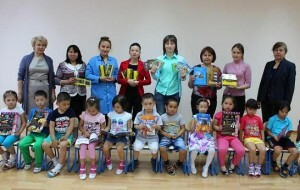 ASTANA – On the eve of International Children’s Day, the State Language Development Foundation donated Kazakh-language books and CDs to children from new kindergarten No. 76. According to the press office of the State Language Development Foundation, global and Kazakh classic literature, encyclopaedia for preschool and school-age children, children’s literature and fairy tales in Kazakh are contained on the audio CDs. Exposing children to Kazakh through donations like these is intended to foster feelings of Kazakh patriotism and pride in their homeland, as well as an interest in the state language and Kazakh literary language and their own artistic development. For the purpose of familiarising the younger generation with the Kazakh language from an early age, the foundation plans this year to open a Kazakh language for children section on the Soyle.kz Kazakh-language web portal. 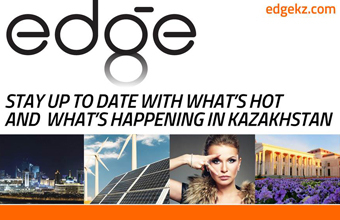 The portal provides an opportunity to study Kazakh language online for free. Kazakh President Nursultan Nazarbayev initiated the State Language Development Foundation. He suggested creating a foundation to support the promotion of Kazakh at a meeting with a group of members of Parliament in May 2008. On September 3, 2008, the first meeting of the foundation’s board of trustees took place. The foundation’s mission is to enhance public support for the presidential initiatives in the development of the state language, including by sponsoring language projects both in Kazakhstan and abroad.